A Slania engraved key from the 1979 'Viking Art Objects' 2v. This key with the 'Gripping Beasts' motif was found on Bornholm Island. FDC with with key and jewelry item? 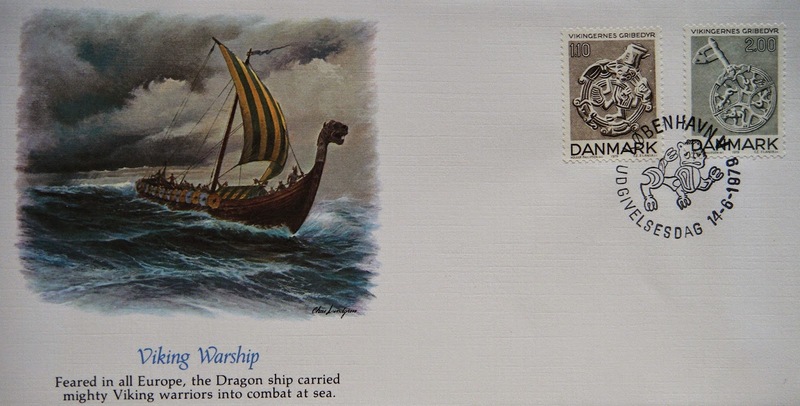 King Olaf Tryggvason's Long Serpent ship is pictured on the cachet.